How old is the RV Park? 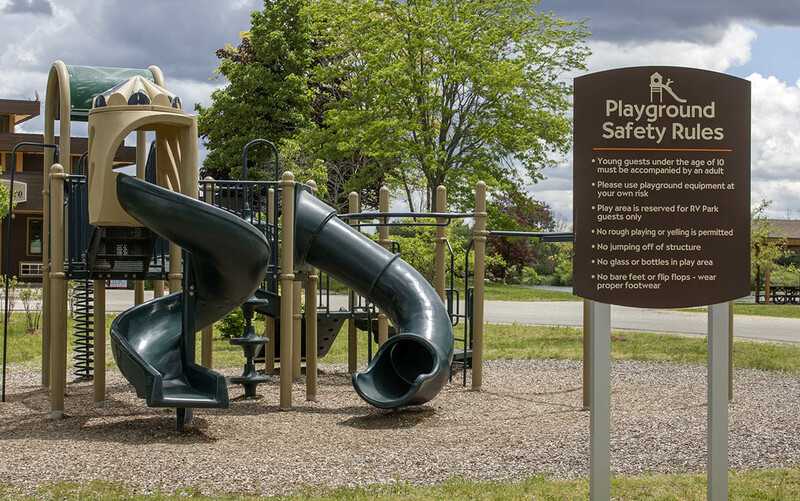 Soaring Eagle Hideaway RV Park was created in 2012 and is continuously upgraded with the addition of new amenities and services. Simply put: we want to be the best. How many lots are available? Soaring Eagle hideaway RV Park has 67 sites with full hookups and 50' concrete pads. Can specific sites be reserved? 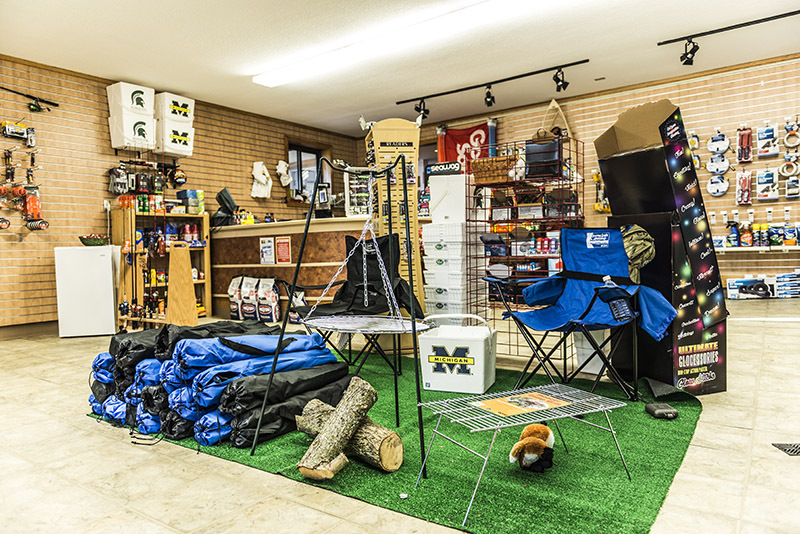 We do not pre-assign sites due to the unpredictable nature of the outdoors. You can reqeust a certain site, and we will do our best to accomodate your request, but it is not guaranteed. Can you accommodate a larger Motor Home? All concrete pads are 50’ in length. Total site lengths range from 70 feet to 90 feet with asphalt approaches. When making your reservation please inquire as to which sites are available and let us know your needs. Does Soaring Eagle Hideaway RV Park offer seasonal rates and sites? Yes we do. If you would like the convenience of having your RV in one of the state’s premier RV parks for the entire season we would be happy to have you as a resident. Does Soaring Eagle Hideaway RV Park have security to watch over my RV? The grounds of Soaring Eagle Hideaway RV Park are patrolled by the Saginaw Chippewa Indian Tribes Tribal Police Department. All officers are cross deputized with Isabella County and the city of Mt. Pleasant. Tribal Police routinely check on the RV Park throughout both day and night. Our rangers also closely monitor the grounds. Does Soaring Eagle Hideaway RV Park allow tent camping. To provide the best environment for our guests tent camping is not permitted in the park. Absolutely, we welcome your fur-babies. A designated pet area is available. We ask you to be considerate of others. All waste is to be immediately removed and for their safety your pets cannot be left chained unattended. Is there a common area that groups can utilize during their stay? Soaring Eagle Hideaway RV Park features an Alden B. Dow designed clubhouse, a Pavilion with concrete floor and picnic tables, and a beautiful outdoor fireplace with seating. All located on property. What are the hours of operation for the complimentary shuttle? Our shuttle is available at regular intervals throughout the day and evening with designated pick-up and drop-off times, check the schedule in the clubhouse. For late night travel from Soaring Eagle Casino and Resort one of our rangers can assist in accommodating individual needs. Is your lake catch and release. We would prefer it that way but you are welcome to keep what you catch and there is an on-site fish cleaning station for your convenience. Enjoy a dip in the lake on a hot summer day! Guests are welcome to swim in the lake and use the water trampoline at their convenience. 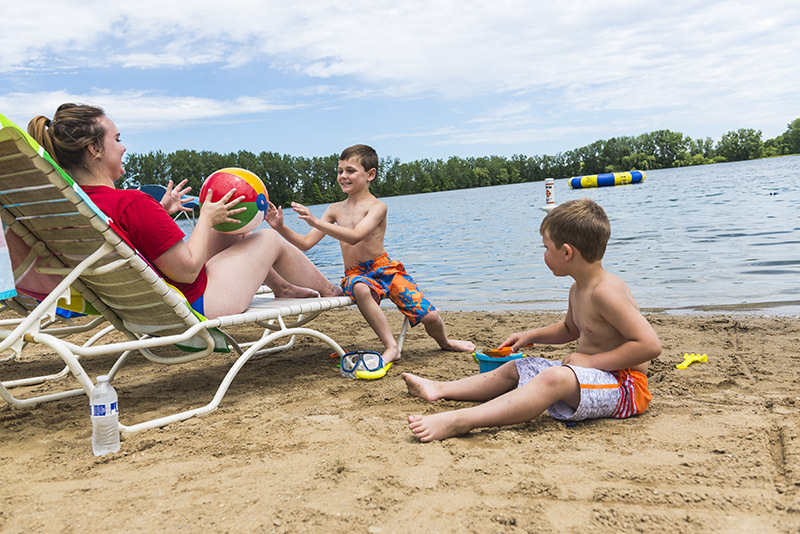 Please note that the lake is not staffed with lifeguards and parental supervision of young guests is required for their safety. Are there restaurants near the park? In addition to Nbakade Family Restaurant, located at Soaring Eagle Waterpark and Hotel, you will find several wonderful dining options at Soaring Eagle Casino and Resort including a large buffet, steakhouse, diner, or casual restaurant. How far away is the casino? I forgot my medications, is there a pharmacy nearby? Located roughly 2.5 miles from Soaring Eagle Hideaway RV Park, and next to the casino, is Cardinal Pharmacy, a member of Soaring Eagle Properties. Cardinal is a full service pharmacy with pharmacists on duty and most insurance is accepted. The pharmacy is open Monday through Friday 9:00 AM – 7:00PM and Saturday 9:00AM – 3:00PM. Call (989) 317 – 3700. Ask any ranger for the easy directions. Is admission to Soaring Eagle Waterpark and Hotel included? Use of the hotel pool and sauna is complimentary to guests. Full admission to the waterpark is available at a discounted rate to RV park guests and we can assist in making reservations for day passes. Please note that due to high occupancy there are times that passes are not available, however this is uncommon. We will do everything we can to accommodate our guests. How Far is Waabooz Run Golf Course? About a fairway wedge away! Waabooz Run Golf Course is located adjacent to the park and can be accessed via the complimentary shuttle service. For tee times call (989) 817 – 4802. Are there more golf courses in the area? Mid-Michigan features stunning golf courses. In addition to Waabooz Run Golf Course nearby championship courses include The Pohlcat and Bucks Run. Both within a very easy driving distance. Pohlcat is about 1.5 miles and Bucks Run is approximately 5 miles East and then North off of M-20 on Chippewa Road. A premier recreation destination that delivers a unique experience. 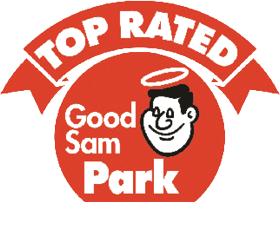 Our goal is to provide our guests with all of the amenities they expect from a park of this stature.